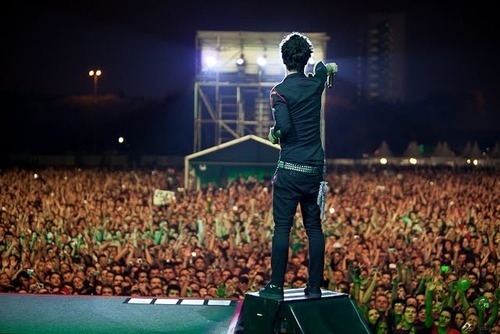 Green 日 Live. . Wallpaper and background images in the グリーン・デイ club tagged: green day billie joe armstrong band live concert crowd. This グリーン・デイ photo contains コンサート.